A safety walker includes a pair of side members, arms and spring loaded pins engaging the arms so as to allow movement of the side members between an operative position, wherein the side members are disposed in a spaced apart generally parallel relationship with each other and a generally folded position, wherein the side members are generally juxtaposed in a generally planar relationship with and in close proximity to each other. There is also a seat that is configured for movement between a stored position wherein the seat is disposed generally parallel to a rear leg of one of the pair of the side members and a second position wherein the seat is disposed generally horizontally across a space between rear legs of the pair of the side members. 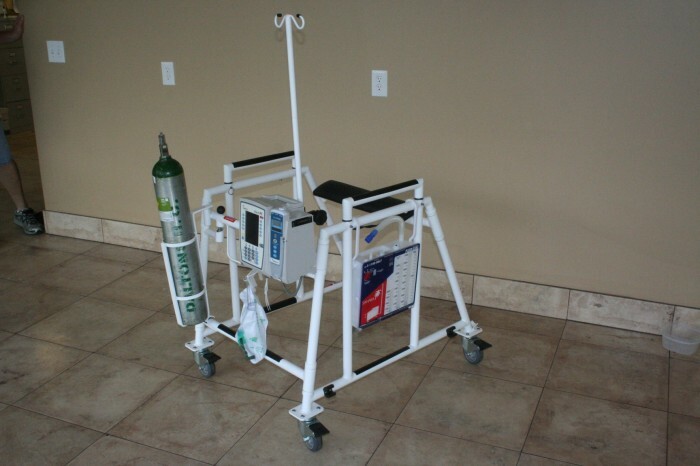 The safety walker is also configured for supporting various medical devices often connected to the user. and a rear safety seat for the patient. 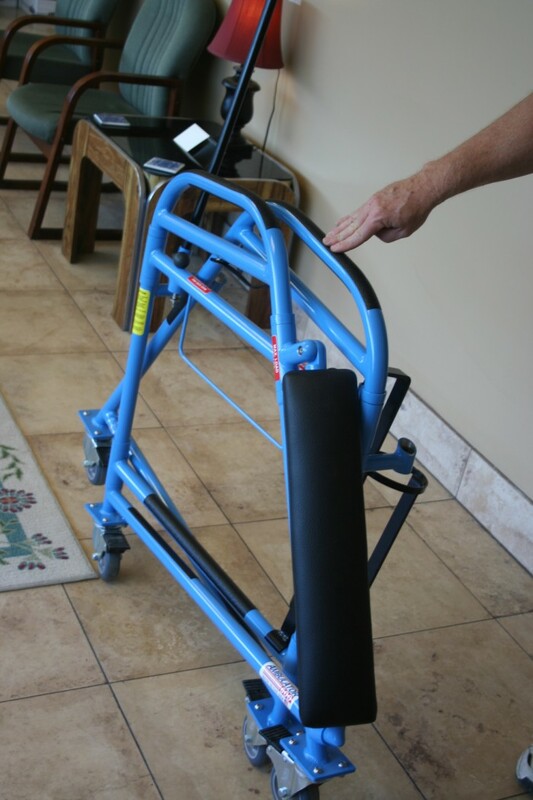 One study done in Three units of a hospital : 2011 had 114 FALLS and 2012 had 100 FALLS with ZERO FALLS where recorded using the Ambulator Safety Walker. 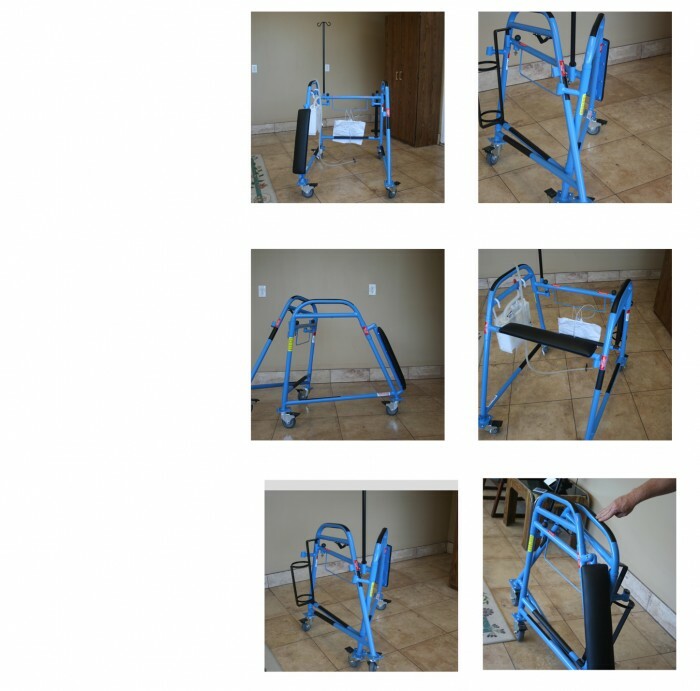 The Ambulator Safety Walker comes in four models the fix height model and the height adjustable model, 1000 lbs. model and a home care model. 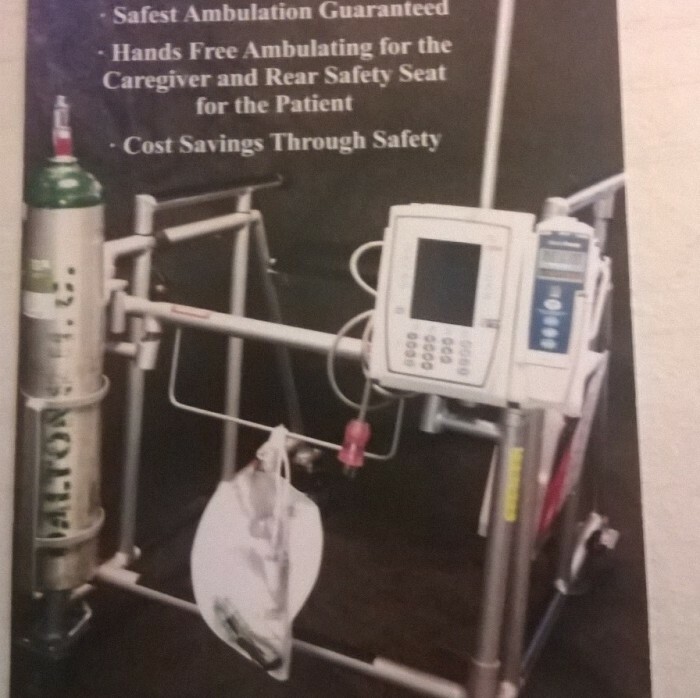 A video of the Ambulator 600 can be seen on you tube. I am looking to sell the Patent or a License with royalties. 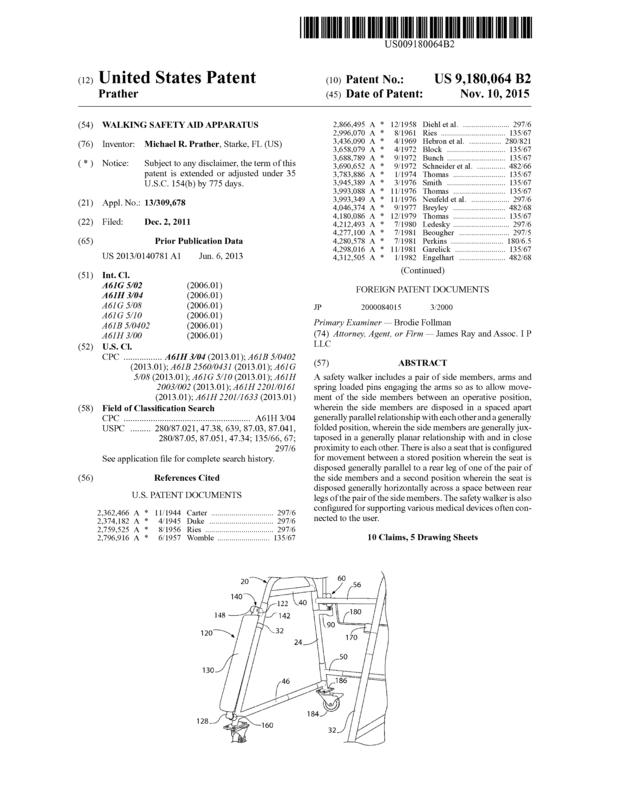 Page created at 2019-04-25 18:08:37, Patent Auction Time.